This week opened with warm weather, but a whole lot of rain. In order to keep ourselves entertained during these deluge-filled days, my youngest and I decided it was time to restore our soap supply. It was time for some good clean fun. 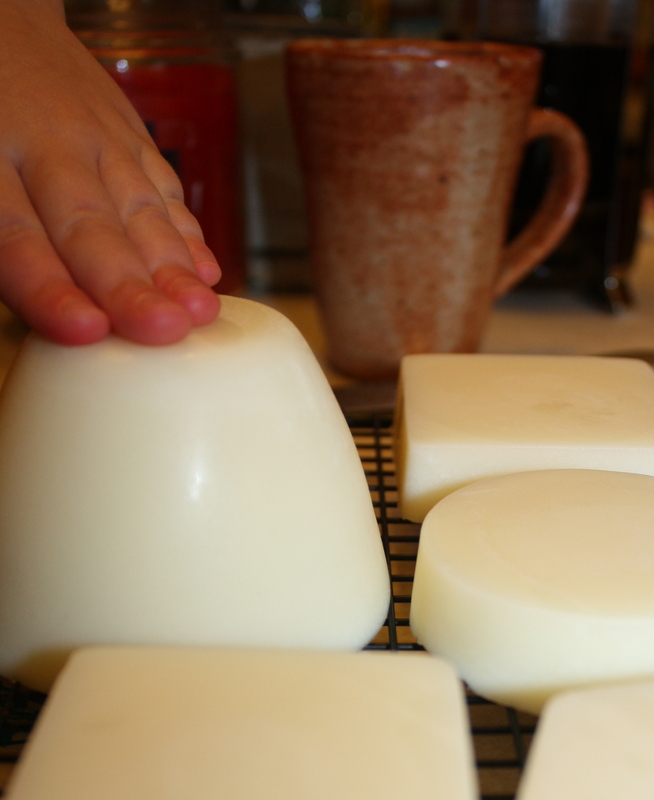 It was time for soap making. In the past, I have relied upon soap recipes from books, but this time I ventured into unknown territory and made up a few concoctions of my own. Now with that said, let me be clear in stating that I have not yet made the move to making my own soap base from lye. I hope to one day get to that point, but for now I still use a wonderful goat’s-milk base from this soap-making supply company. I hope you enjoy these recipes as much as we have. Enjoy! Melt these ingredients down in a double boiler. (I use an old glass bowl nested in a pan of hot water.) Once the mixture is melted, remove from heat. 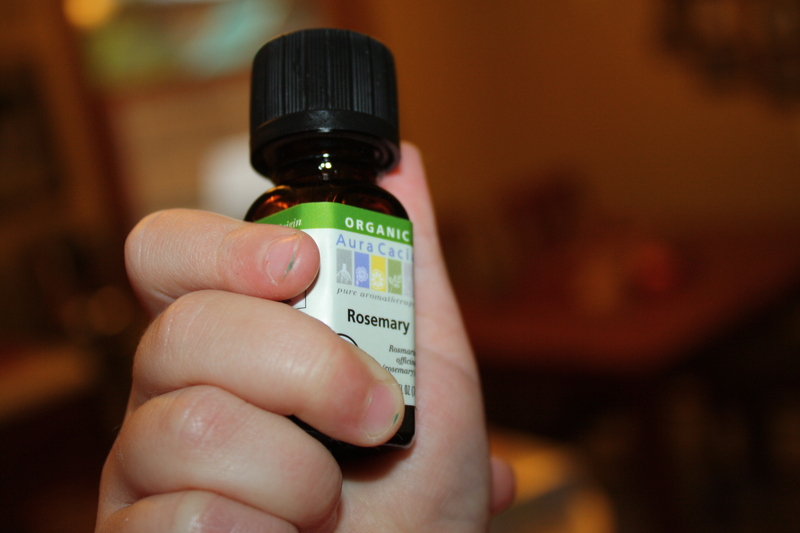 Add 3 eye droppers of vitamin E oil, 25 drops of rosemary essential oil, and 40 drops of lavender essential oil. Mix. Continue to mix and allow the mixture to cool down slightly. (I have found this helps to keep the palm oil from separating during the molding and cooling process.) Then pour the mixture into soap molds and allow to cool. Once cool, remove from molds (and cut if needed). Let the soap cure on a drying rack for two weeks before use. Melt these ingredients down in a double boiler. (I use an old glass bowl nested in a pan of hot water.) Once the mixture is melted, remove from heat. Add 3 eye droppers of vitamin E oil, 40 drops of sweet orange essential oil, and the contents of 8 chai tea bags. Mix. Continue to mix and allow the mixture to cool down slightly. (I have found this helps to keep the palm oil from separating during the molding and cooling process.) Then pour the mixture into soap molds and allow to cool. Once cool, remove from molds (and cut if needed). Let the soap cure on a drying rack for two weeks before use. This entry was posted in DIY, Holistic Living, Sustainable Living and tagged chai spice, DIY, eco friendly, essential oil, holistic, holistic living, home, homemade, homemade soap, homemaker, homemaking, lavender, make, making, mama, mindfulness, mom, mother, orange, orange chai spice soap, organic, rosemary, rosemary lavender soap, soap, soapmaking, soapmaking recipe, soapmaking recipes, sustainable, sustainable living. Bookmark the permalink. Could coconut oil be used instead of palm oil? Hello! I’m sure you could use coconut oil in the recipe. 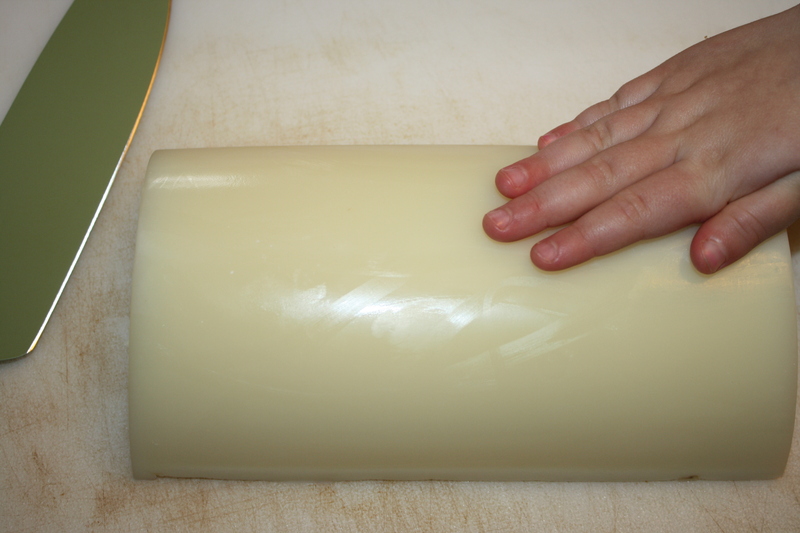 The reason I use palm oil is to make my soap more solid. It doesn’t really serve any “skin care related” purpose (at least not that I know of). Coconut oil is 100% better than palm oil as palm oil is mostly GMO…. Also coconut oil adds a very rich lather too. 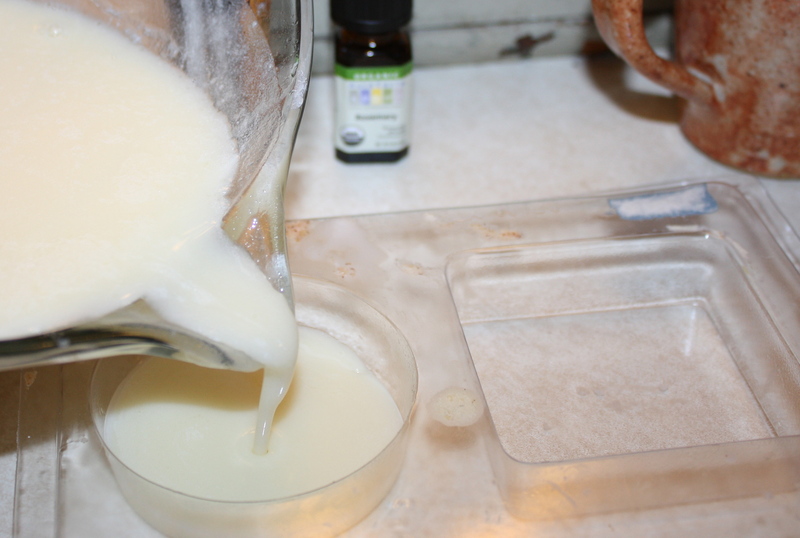 Keep in mind I make my own cold possess lye soap also, not the melt & pour. Where do you get goats milk soap base? Fresh goats milk wouldn’t change the recipe any would it? can I use another kind of oil instead of palm oil which I don’t have?